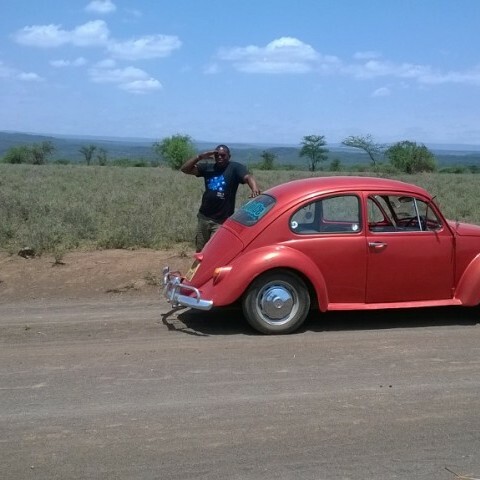 My name is Wamae Karanja and proud to own Beetlejuice. Beetlejuice is a late '66 bug with one previous lady owner. My passion for bugs was born and bred in me with a long list of fore and present fathers before me owning and still running bugs to date. This character trait runs in both sides of my family with my paternal grandfather (may he rest in peace) and my maternal uncle being vdubbers among many others. Beetlejuice was found at bulbul and a friend called me up to tell me about her and when I went to see her, it was love at first sight. 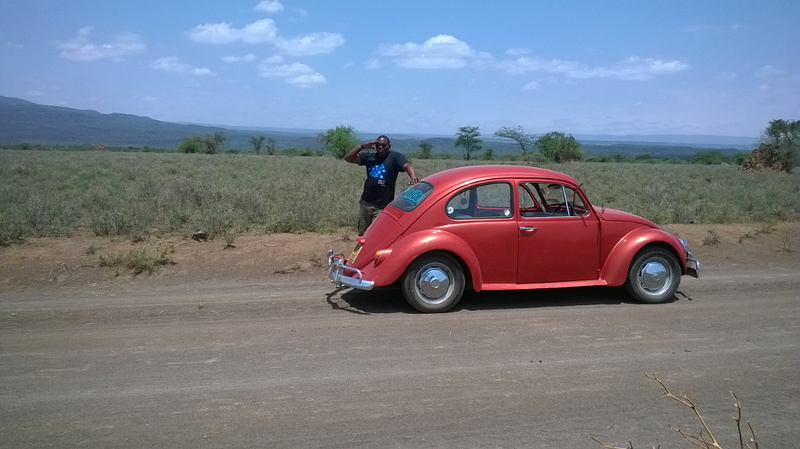 She wasn't in mint condition but she managed to drive from bulbul to Ongata Rongai with hand brakes and after sorting the brakes out she went on her maiden drive to the land of my fathers, Nyeri. To the utter surprise of many she performed beautifully and I knew that she needed a full restoration which was done at the GLB ranch by Mr. George Lawrence Brown. She had a new floor pan, structural strengthening and the fenders permanently welded to the body. A new coat of paint ensued and she was back on the road after 18 months at the ranch. She's been on several trips with the club and has graced as many weddings.